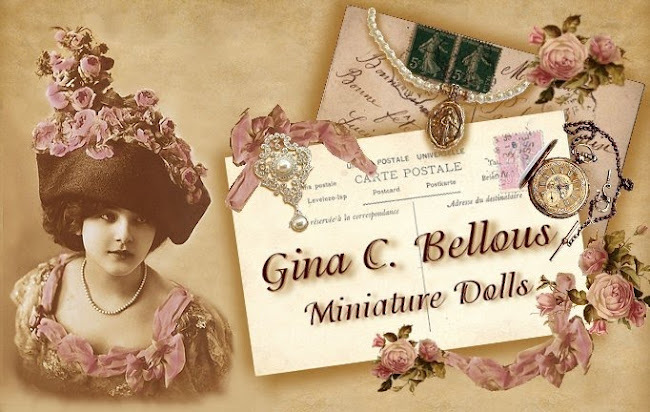 Gina C. Bellous Miniature Dolls: Finishing up some orders and then some FUN stuff! It has been awhile since I posted. I have been working like crazy to finish up my orders! 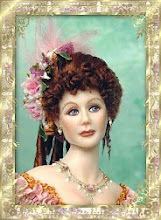 If your ordered a Victoria, and haven't received her, the rest of the orders will be going out either Monday or Tuesday! I appreciate every one's patience. I got a bit behind during the holidays. If you ordered other dolls, they are also going out by the end of next week or beginning of next. Stay tuned, I will have some special ladies to show!